A HIPAA-Compliant, fully-integrated EMR and Practice Management software for single and multi-physician facilities. _ Scheduler is an integral part of the practice management system and includes an array of features that will keep your office running smoothly, increase practice productivity, establish scheduling accountability, and provide optimum patient satisfaction. _ Quickly and easily check-in patients and monitor daily activity from one screen. Addition options empower patients to check-in, update demographic data, complete electronic forms and more. Saving staff time, while improving efficiencies. 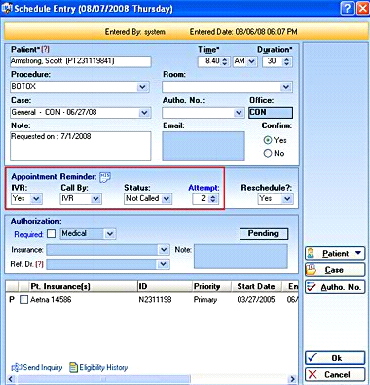 Customize SOAP Sections per provider needs; easily create visit notes; add notes using Dragon Medical Transcription; e-Prescribe or print Rxs, labs, referrals, careplans, plans and follow-ups; create Super-bill; view Flow-sheets and Patient Dashboard; use Global Templates and/or copy prior patient visit information easily; PLUS MUCH MORE! _ Streamline your billing with automated data entry from SuiteMed IMS EHR - generating Super Bills, strong validations, pre-checking of EM codes, CMS-1500 or UB92 claims, automatic reconciliation (ERA), enhanced collections and extensive reports to keep finances on track. _ Authorization verification is provided for check-in and charge posting to guarantee insurance reimbursements. Authorization requirements can be set by procedure and insurance. 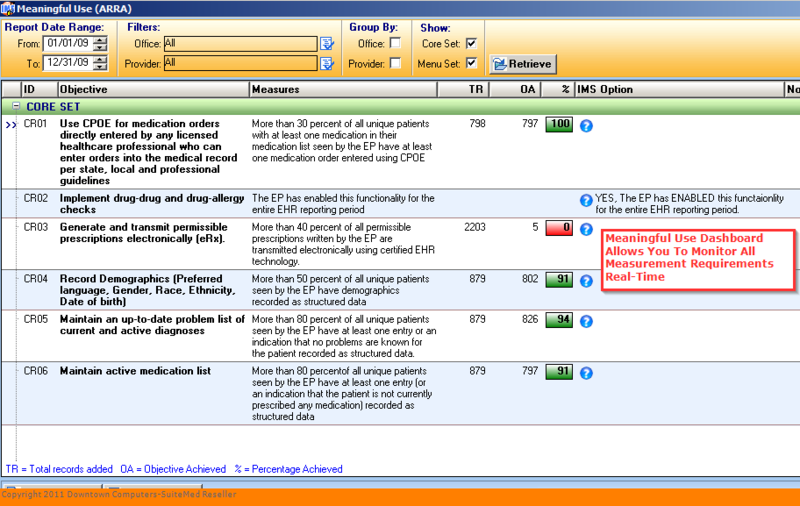 _ Track medication and refill histories with the flexible and comprehensive prescription/e-prescribing module. Prescriptions are automatically checked against a patient's medications and allergies before being electronically transmitted to the pharmacy to prevent interactions and errors. 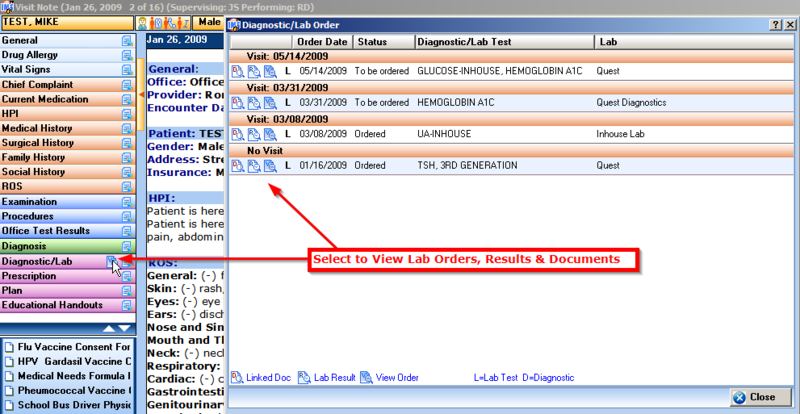 _ Transfer diagnostic/lab orders electronically with an HL7 lab interface. Customized templates, pre-printed order forms and print/fax orders are handled with ease. 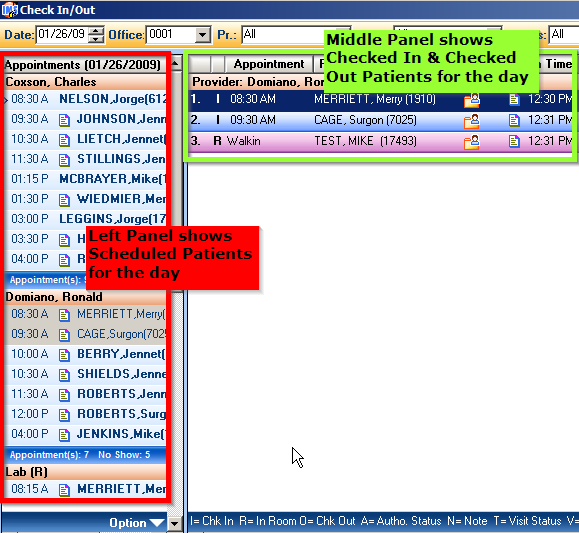 _ Physician Dashboard "My Tasks"
_ Single screen dashboard identifies tasks and reminders which will significantly improve staff workflow, maximizing your resource allocations and intra-office communications. _ Patient data is collected and securely stored, enabling the practice to generate detailed reports of outcome analytics, business analysis and comparative patient data. Hundreds of pre-built reports are included with an easy-to-use custom report writer. Dashboard reports are accessible for an overview. _ Printed documents and clinical images can be captured from outside sources, condensed and organized into the patient's chart electronically. Keep medical records accurate and up-to-date with a paperless environment. _ SuiteMed's Patient Portal allows patients access to their personal healthcare record, online, 24/7. Reduce phone calls with this secure solution. Improve patient satisfaction, while allowing your patients a compelling reason to help you compile critical documentation. _ The system does the work and shows you how to easily achieve meaningful use. Quickly secure data while allowing fast re-entry -or- new user log in. 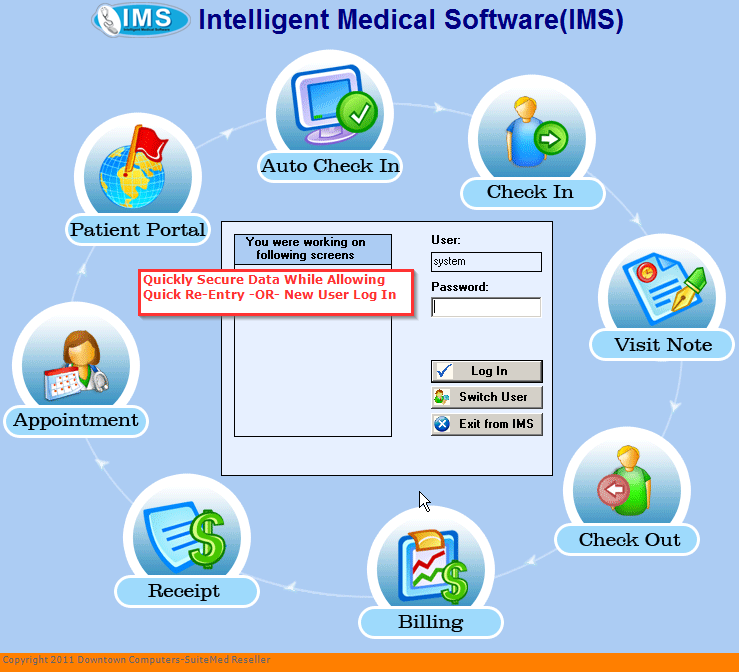 _ The most versatile and user friendly health maintenance system on the market today, SuiteMed IMS Maintenance Reminders assure timely completion of appropriate tests, immunizations, exams, screening, and education ensuring patient compliance and preventative care. 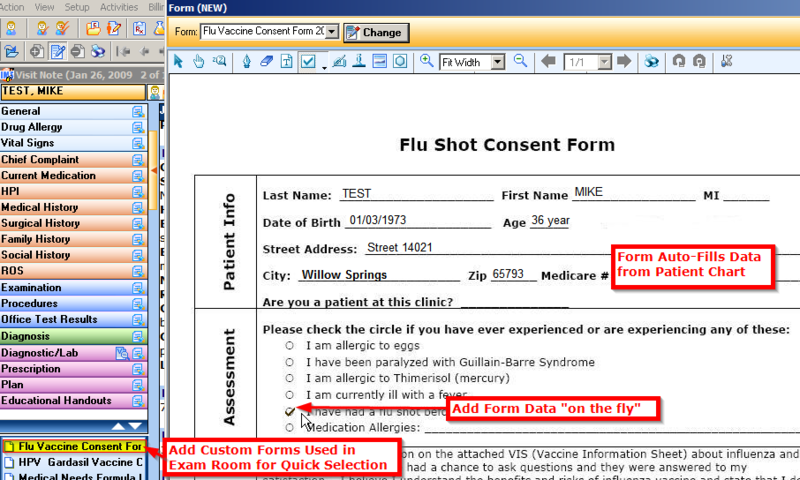 _ Automatically pre-populate frequently used forms with necessary patient information. Forms and letters for patient referrals are automatically populated with patient data, treatment and provider information. Customizable input fields for those patients with unique needs. Inbound referral letters can be scanned or faxed directly into the electronic patient record. _ View any and all patient information from a single screen. _ Clinical templates for over 26 specialties allow for easy, accurate documentation of specialty-specific procedures, histories, assessments, and more. _ E&M Coding calculator helps to prevent lost charges, maximizing reimbursement. _ Are you faced with the challenge of managing in-house drug dispensing? Now you can safely and accurately dispense medications with ease. _ Register patients with accuracy and speed using fully automated Bar-Coded ID Cards. Easily manage high patient flow with a faster check-in process. _ System automatically calls to confirm Patient appointments to save staff time and increase productivity. _ Single screen dashboard identifying tasks and reminders which will significantly improve staff workflow while maximizing your resource allocations and intra-office communications. 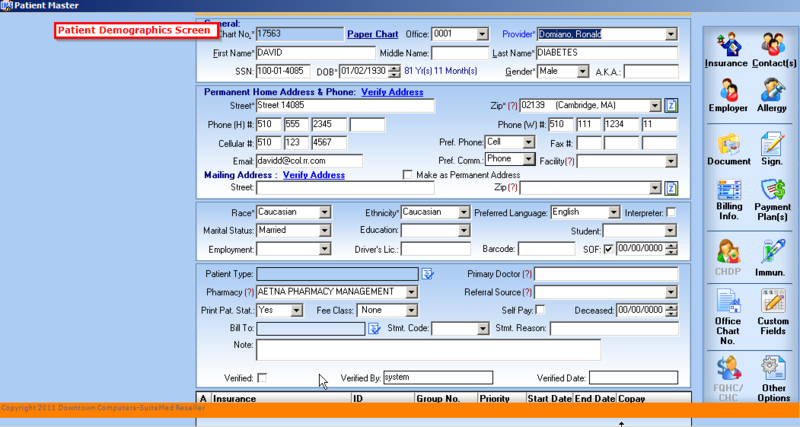 _ Fax Server Integration to increase staff productivity in a paperless environment. _ Import Patient Data directly from their personal glucometers.